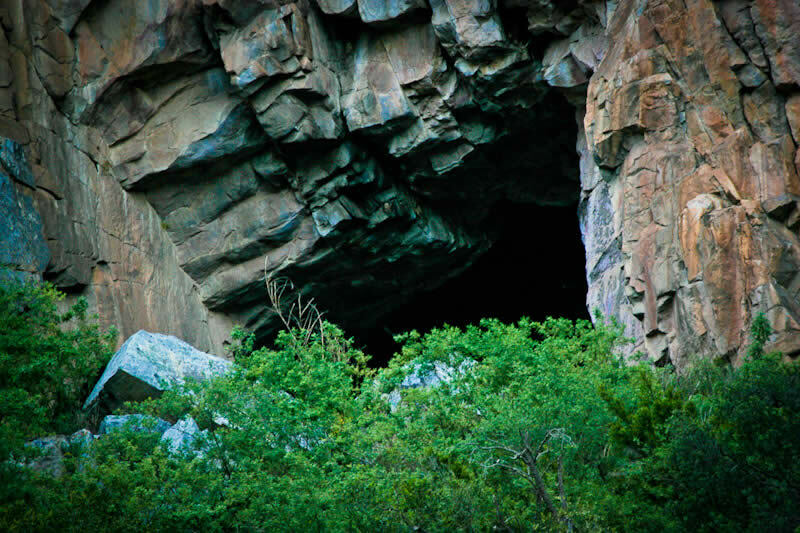 Montagu Guano Cave Resort is situated just outside Montagu on the famous R62 that runs through the scenic Little Karoo. 5.8Km outside town you will find the resort turn to the right, clearly marked with signboard on the left side of road. 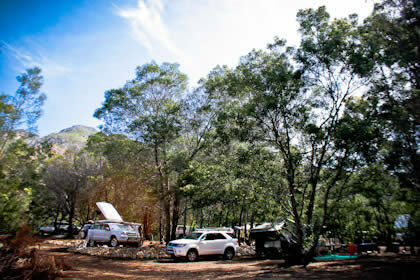 For the serious camper the resort boasts with 32 campsites under trees. 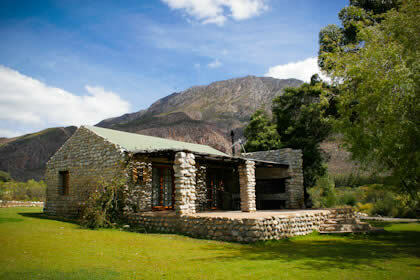 Each with its own electrical point, water tap and neatly build Stone Braai area. 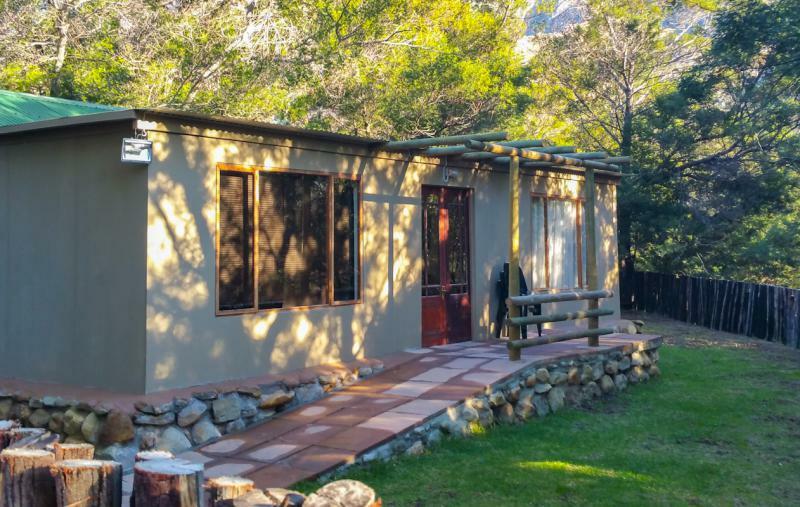 Beautiful and neatly maintained Men’s and Ladies ablution block with hot showers, toilets and electrical points. Should you want to spoil the family there’s 5x semi Stone/Canvas Bushlapa family units, view neatly build River Cottages and 1x Stone Build Cottage to choose from. 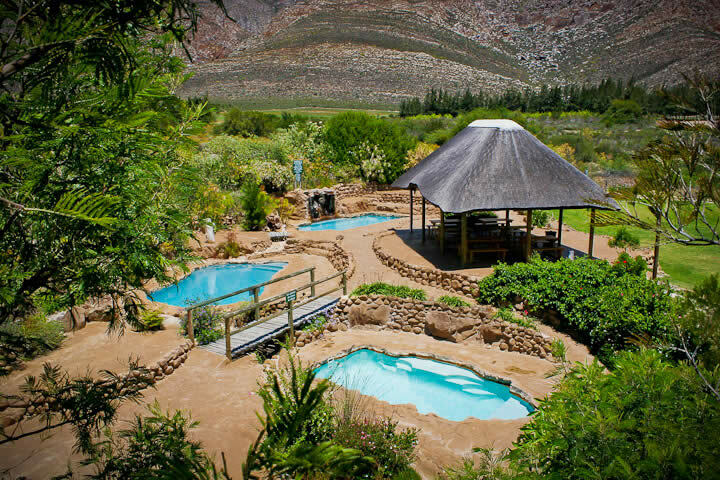 If you follow the little walkway through the bush you suddenly are greeted by the absolutely stunning Rock Pool swimming area, surrounded by a luscious green lawn open air amfi theatre where you can relax in the sun, or seat yourself under the Lapa while you enjoy your lunch cooked in the big Stone Build braai. 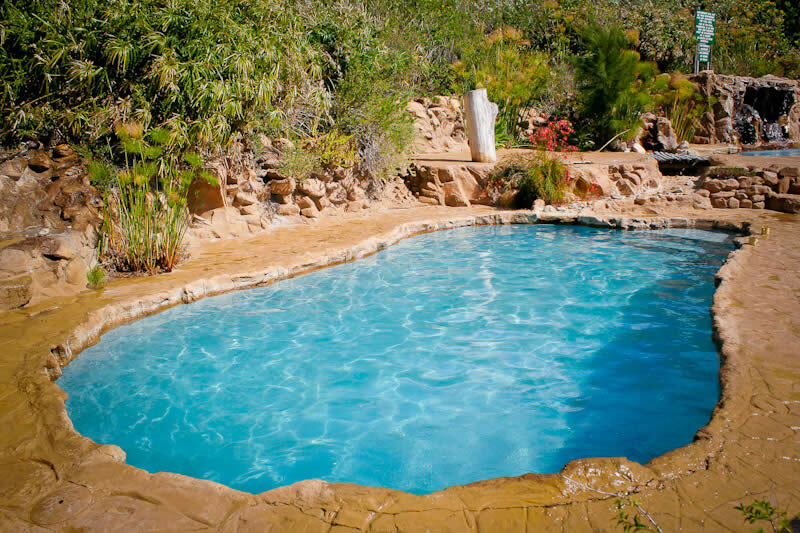 There are 4x beautiful swimming pools to cool down during the hot summer days. For the winter season campers there are 1x heated pool as well. 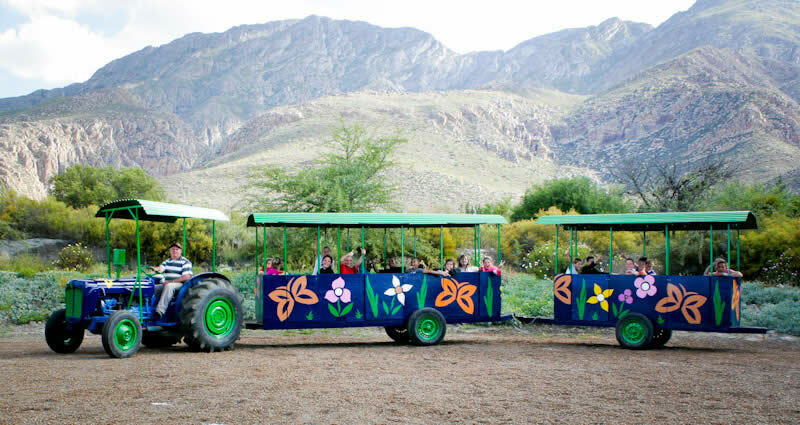 You can book and join the tractor tour that runs daily to the Montagu Cave situated deep into the mountains. 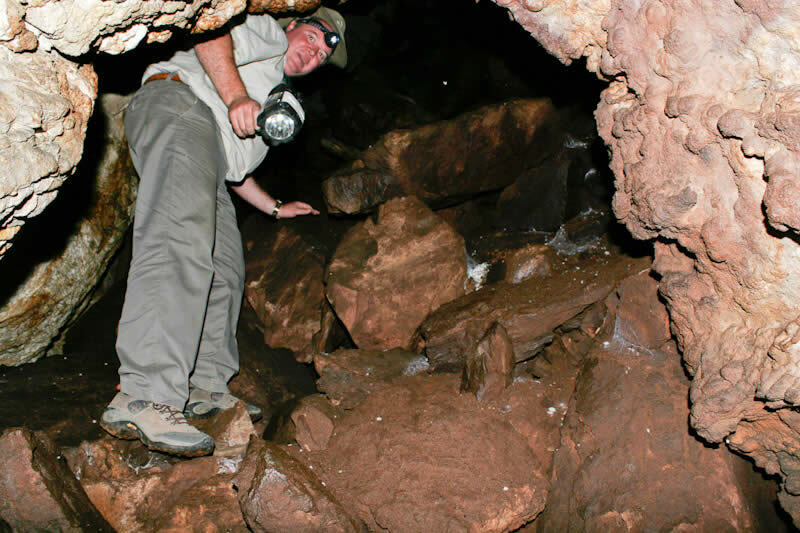 There you can see the 4-5 different species of bats living in the caves, artefacts and bushman paintings. There’s a nice little restaurant where you can order tasty pizzas, cup of coffee or a nice cold drink from the bar. The small shop in the reception area also stocks and sell fire wood, cool drinks, ice cream, sweets and a view more things to enjoy. Right across the restaurant/office area you will find a huge animal petting zoo, and a rabbit world. The resort comes highly recommended if you need that quick weekend away from home, or to visit during your annual holiday. 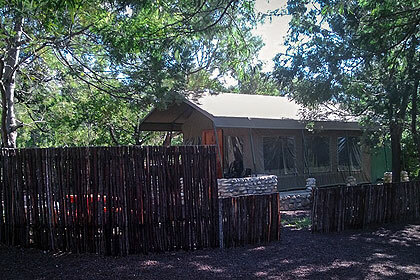 Please make sure to enquire about availability of campsites, and book well in advance of your planned trip. This resort is a sought after destination.